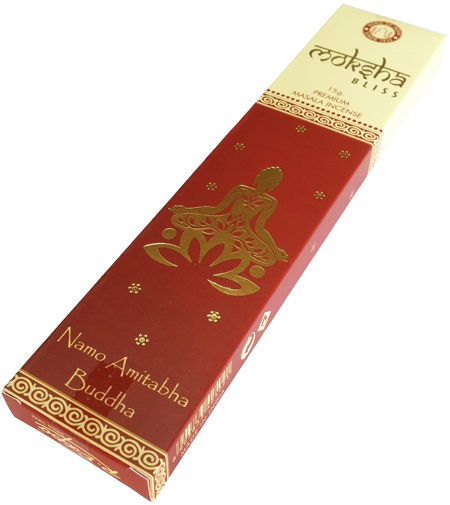 Incense Masala Moksha Bliss Incense Sticks. The repetitive chanting of "Namo Amitabha Buddha" enables us to destroy countless eons of bad karma and helps us to focus the mind while meditating. The mantra is "Namo Amituofo" in Chinese and "Namu Amida Butsu" in Japanese. It means infinite light, infinite life, and infinite wisdom.